Civilian populations in this region of the Democratic Republic of the Congo suffer numerous human rights violations, among the most fundamental being the violation of the right to life, the violation of physical integrity, the violation of the right to freedom and safety, and the right to property. Many people in this region live in very perilous conditions since they are caught in the grip of armed groups. 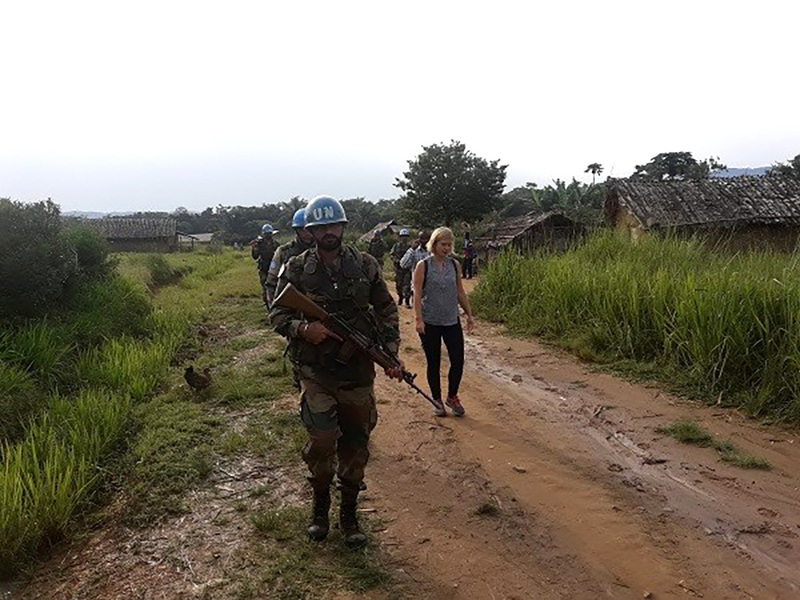 Since 2015, international UN Volunteer Jeanne Warnet (France) is assigned to the United Nations Joint Human Rights Office (double mandate OHCHR and MONUSCO) as a Human Rights Officer with the Goma Field Office, Democratic Republic of Congo. Jeanne obtained this assignment at the age of 30, following her experience in criminal law and the rights of foreigners and asylum seekers. Now in the Mission’s reporting and special investigations department, her service is dedicated to assisting civilian populations of North Kivu, victims of a conflict that has lasted for several decades. "My work in the office in Goma remains quite varied. A major component consists of the collection of information and data analysis that I put together after conducting population surveys to detect probable human rights violations committed in Goma and in the Masisi, Walikale, Rutshuru and Nyiragongo areas. The goal of our work is to ensure that the violations and abuses committed do not go unknown and unpunished." Her appointment as a Human Rights Officer also leads UN Volunteer Jeanne to conduct awareness-raising activities, as well as trainings offered to authorities, security forces, and local communities on the concepts of human rights, humanitarian law, and the protection of civilians. She also advocates to judicial and state authorities to combat impunity, important work that can initiate investigations and ensure follow-up on registered cases. What is most rewarding in my assignment is when I meet a person and manage to restore his faith in humanity and his motivation to fight to build a better Congo. It is a long-term job that cannot be done without the Congolese people. They have all the solutions for a better future.